Hosts Adam Brand and Amber Lawrence helped to reveal the nominees across 15 categories, including Male Artist, Female Artist and Group or Duo of the Year; Alt Country, Contemporary Country & Traditional Country Album of the Year; APRA AMCOS Song of the Year and Qantas New Talent of the Year. Andrew Swift is making a big mark with his second album Call Out for the Cavalry being nominated in four categories. Swift finds himself in the running for ALT COUNTRY ALBUM OF THE YEAR and is also up for MALE ARTIST OF THE YEAR alongside longstanding favourites, John Williamson, Travis Collins, Adam Harvey and Graeme Connors. 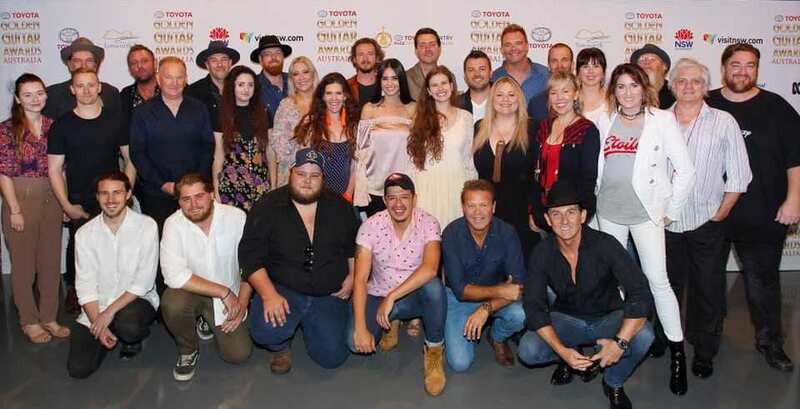 Swift is also nominated with Catherine Britt for REGIONAL AUSTRALIA BANK VOCAL COLLABORATION OF THE YEAR and will vie for the QANTAS NEW TALENT OF THE YEAR Award along with 2018 Toyota Star Maker Winner Brad Cox, Tori Forsyth, Imogen Clark and 2017 The Voice Winner Judah Kelly. Other nominees vying for top honours at the 2019 Toyota Golden Guitar Awards include Allan Caswell, Beccy Cole, Bennett, Bowtell & Urquhart, Catherine Britt & The Cold Cold Hearts, Dean Perrett, Fanny Lumsden, Graeme Connors, Hillbilly Goats, Jayne Denham & Troy Kemp, Jeff Brown, Karl Broadie, Kristy Cox, Lindsay Waddington, Missy Lancaster, Montgomery Church, Mustered Courage, Rex Dallas, Runaway Dixie, The Weeping Willows, Tommy Emmanuel & Troy Cassar-Daley. A full breakdown of the finalists in each category can be found here.